Fortunately Word provides you with the ability to add a border to a picture, which can provide a much-needed separation between the document body and the picture. 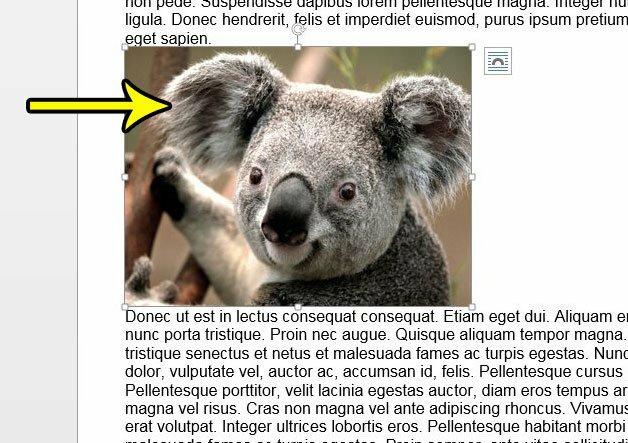 Our guide below will show you how to put a border around a picture in your document, as well as how to specify the color, width, and style of that border. The steps in this guide will assume that you have a document containing a picture, and that you want to add a border to that picture. You will be able to modify the color, width and style of the border. Step 1: Open the document containing the picture to which you wish to add a border. 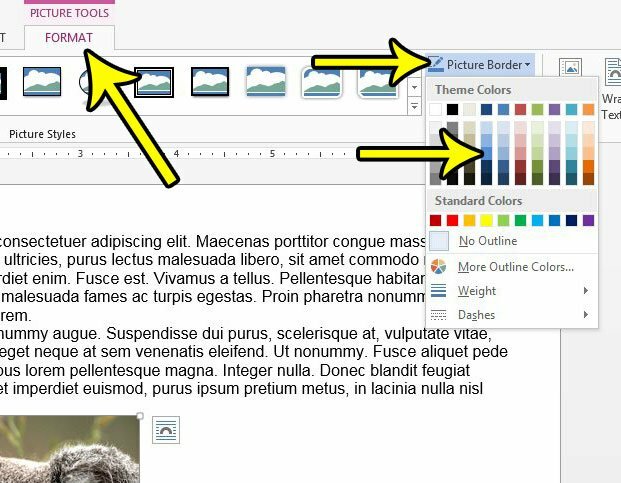 Step 3: Click the Format tab under Picture Tools at the top of the window, then click the Picture Border button and select a color for the border. Step 4: Click the Picture Border button again, then click the Weight option and choose the desired border thickness. Step 5: Click the Picture Border button another time, click Dashes, then choose the desired style for the border. 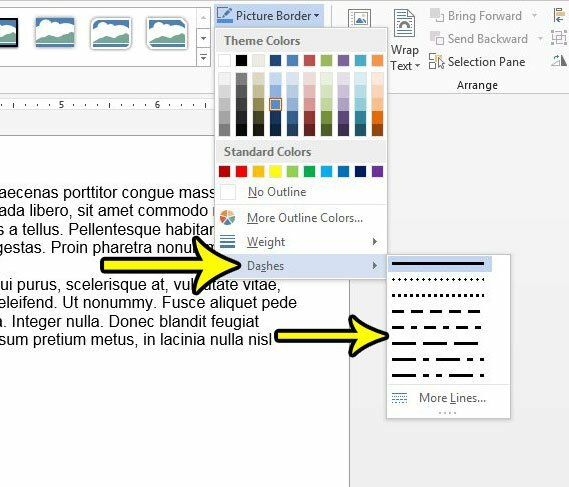 Word also gives you the ability to add borders to a paragraph in your document. 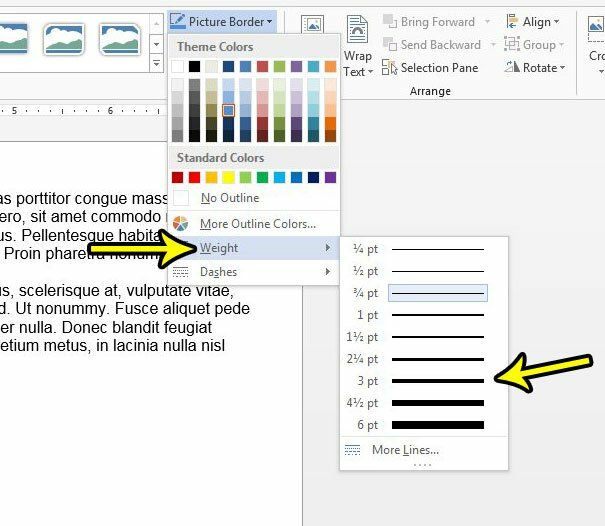 Learn how to add a paragraph border in Word 2013 if you have a selection of text in your document that would look better with a border around it.